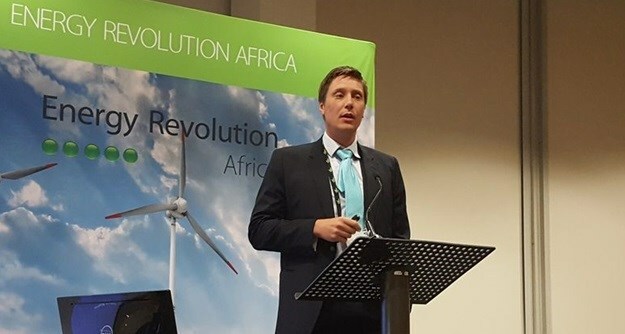 One of the many pertinent questions asked at this year's African Utility Week was whether current focus should be on energy efficiency vs increasing capacity. "Energy consumption is one of the main causes of greenhouse gas emissions which contribute towards global warming. 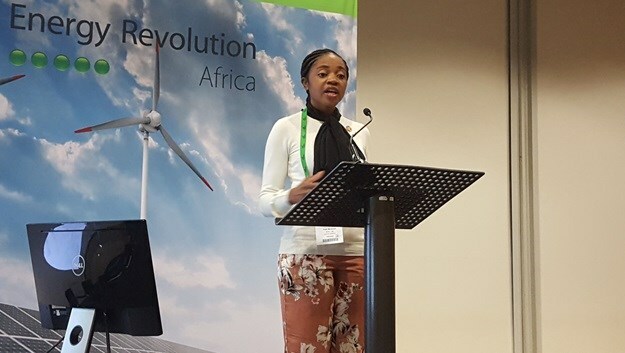 In a continent faced with a growing population and limited energy capacity, the only way to curb the increase in energy consumption, while preserving economic and social development, is to improve energy efficiency, and that's where the challenge lies," said Faith Mkhacwa, programme manager at the National Cleaner Production Centre of South Africa (NCPC-SA). Mkhacwa was moderating a session focused primarily on the low hanging fruit for energy efficient buildings. The session allowed for case studies illustrating not just what's been done in the South African context, but how it's been done. 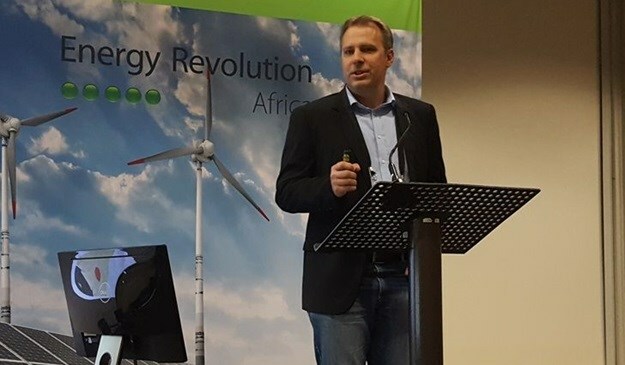 Manfred Braune, chief technical officer at Green Building Council South Africa (GBCSA), noted that while there has been a lot of focus on other industries, buildings present a massive opportunity for energy efficiency. "If you think about buildings globally, they're responsible for 40% end-use energy, and you can translate that directly into carbon emissions. In South Africa, for example, the factor is between 1 and 1.2, translated from kilowatt-hours to kilogrammes of CO2, so buildings are hugely responsible for both carbon emissions and the energy consumption that's linked to that," explained Braune. GBCSA achieved 200 certified green buildings last year - in terms of reductions in CO2 emissions annually, this equates to 84,000 cars off the road every year, he noted, and considering South Africa has over a million buildings in the various sectors, this presents an opportunity to make a significant impact. One of the examples Braune pointed to was the Department of Environmental Affairs building in Tshwane which has a six-star rating. Apart from saving about 3-million kg of CO2 annually, and being 60-70% more efficient than SANS 10400-XA - the South African standard for energy efficiency - the PPP project also has a 25-year performance contract on operations and management of the building. "In a sense, it's a green lease on steroids for 25 years. There's penalties if, for example, the building's energy performance goes below or above a certain level, penalties that the private operator has to then cover because of failing to stick to that level of performance," explained Braune. He believes, however, that these efforts need to be radically scaled up, and that government and the private sector need to collaborate in being key players in this space. "We need regulation to step up quite radically, but then we also need the private sector to show leadership and, on a voluntary basis, to go much further than what regulations require," he said, also emphasising that there needs to be greater focus on existing building. 100 certified buildings by the end of 2017. 1. Utility management: accurately measuring and billing clients for energy and water consumption within its properties, in line with the latest electricity and water measuring technologies. 2. Consumption efficiency: four key focus areas in terms of consumption efficiencies are related to water, energy, waste, and, more recently, data. "We actually see fibre as a separate resource that will go into buildings. The next frontier to drive efficiencies in buildings will be the internet of things (IoT) and if you don’t have the correct infrastructure to support those interventions, you won't drive efficiencies further in your portfolio," said Van Antwerpen. 3. Renewable energy: aim of incorporating renewable energy solutions in buildings with a feasible business case. 4. Sustainable development: ensuring new and existing buildings adhere to GBCSA certification standards and best practice. 5. Strategic projects: focus on risk mitigating projects within Growthpoint's property portfolio, advocacy/education of sustainability, as well as sustainability reporting. According to Van Antwerpen, the average rating of all Growthpoint's buildings is well above the benchmark set by GBCSA. "We are now at the frontier where we are looking at IoT to address issues in real time and address those interventions in a building much quicker than what we have done in the past,” he said, “managing our property better going forward." The 2017 African Utility Week took place at the CTICC in Cape Town, 16-18 May. For more info, go to www.african-utility-week.com. Decades have passed and we are still facing global warming. It is a continuous situation even with continuous green efforts that are taking place concurrently. If there is a facility that contributes towards global green efforts, then we should indeed take advantage of it and build even more of such a facility that offers significant opportunity for energy efficiency to reduce carbon footprint.